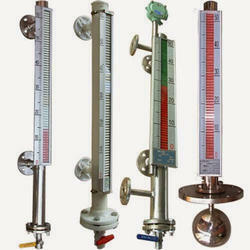 Manufacturer & Exporter of Level Gauge for Pharmaceutical Industry. Our product range also comprises of level indicator, Industrial Heaters and Thermo Couples. Keeping track with latest market development, we are engaged in offering our clients with an excellent quality range of Level Gauge for Pharmaceutical Industry. For manufacturing the offered level gauge, our dedicated team of professionals utilizes optimum quality components and sophisticated technology. This level gauge is well checked against enormous by our experienced quality controllers. We provide this level gauge at highly competitive prices.